Simply the right card. 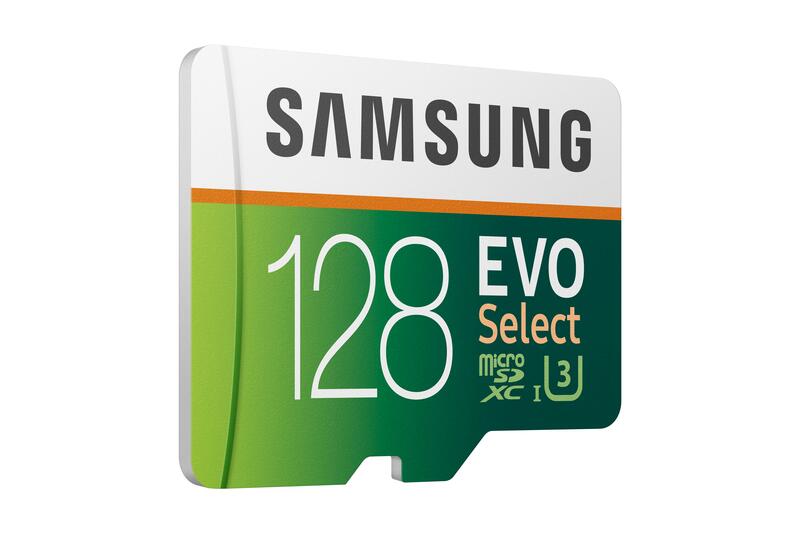 With stunning speed and reliability, the Samsung 128GB 100MB/s (U3) MicroSD EVO Select memory card lets you get the most out of your devices. 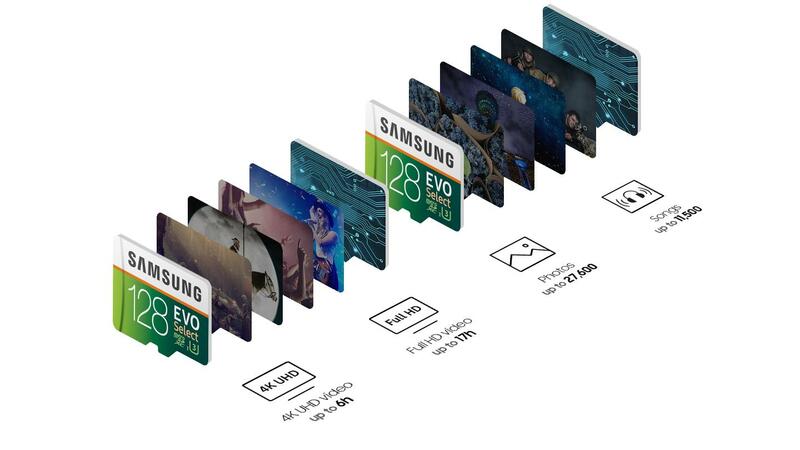 Whether you are a power user or simply want to expand your device memory, this MicroSD card gives you the advantage of ultra-fast read & write speeds of up to 100MB/s & 90MB/s. 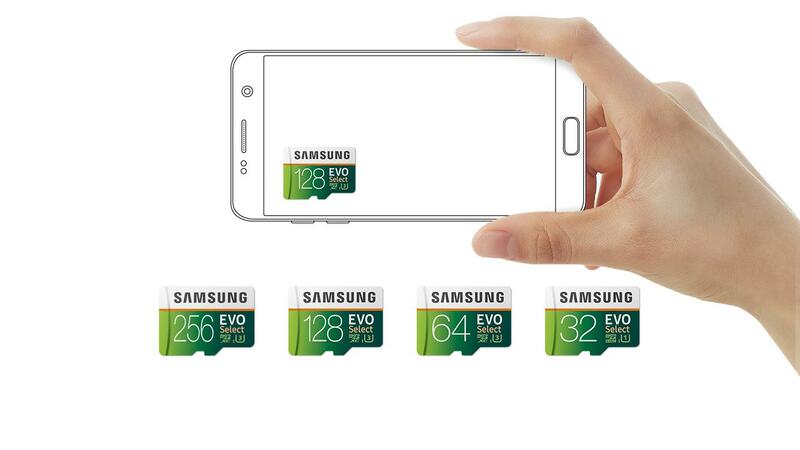 Compatible with all microSD and wide range of Full-Size SD applications. 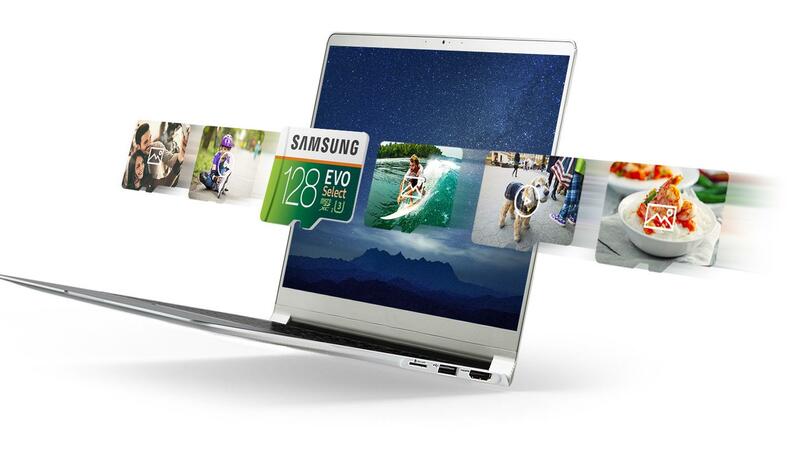 Feel confident to capture, store and transfer Full HD videos, photos, music and other large files effortlessly. 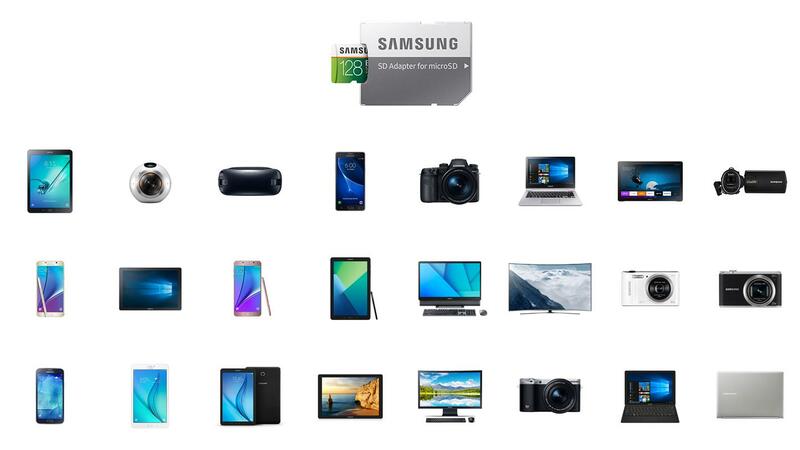 With massive amounts of storage, you can go ahead and savor all of what life has to offer. Your memories and adventures are irreplaceable, and now unforgettable. 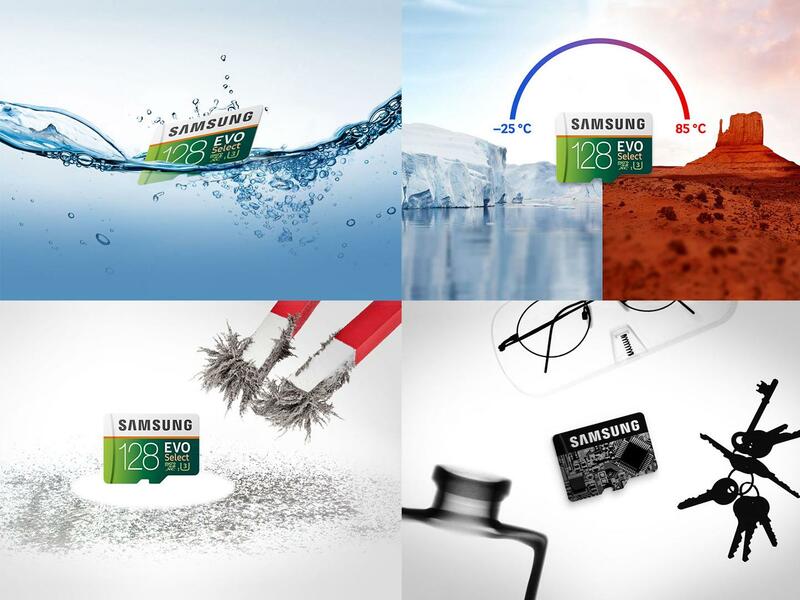 Backed by 4-proof protection, this card keeps your data safe against water, extreme temperatures, and other harsh conditions.